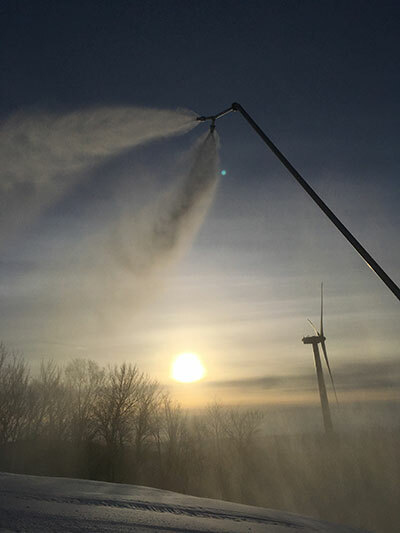 Snowgun Technologies – Setting new standards for performance in the snowgun industry. Setting new standards for performance in the snowgun industry. 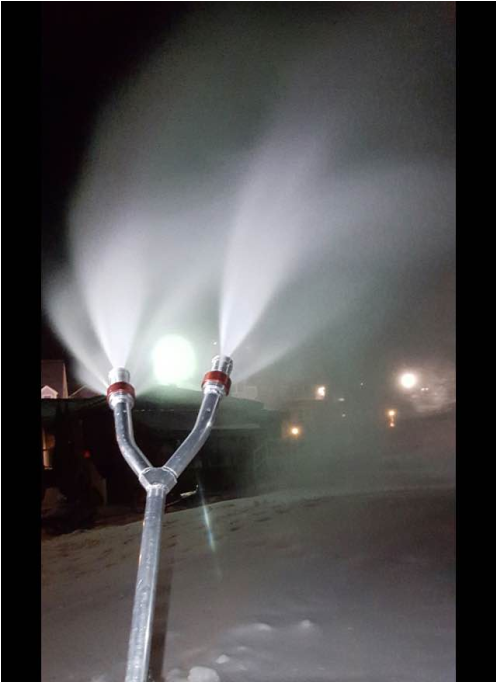 The technology developed by SnowGun Technologies has been created over decades of passionate research and development and partnership with LP Snowsystems, LLC . The latest has been a game changer and has come to be known as the “Sledgehammer™”. 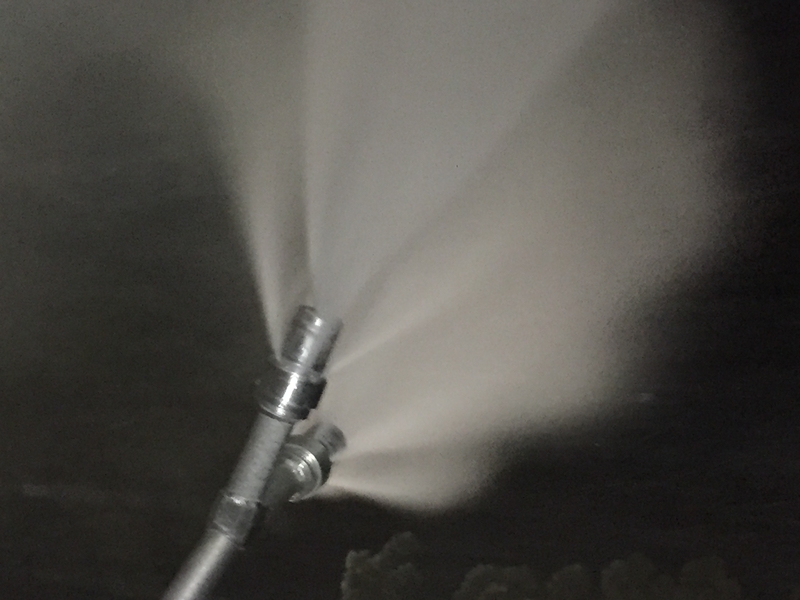 The Sledgehammer™ uses a hollow cone water nozzle, surrounded by 6 nucleators, which comingle downstream to produce a much higher volume of snow at 25wb than traditional Air/Water guns. With this technology, the Sledgehammer™ Tower achieves a 1:1 Air/Water ratio, converting 44gpm using a double headed tower gun. The Sledgehammer™ Ground uses the same technology, but with less hang time. At temperatures of 25-21degrees at 2:1 air/water ratio is achieving 22gpm. 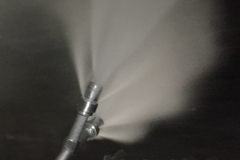 At 20 degrees wb and below, switch to 1:1 nozzles and maximize ground gun output to 44gpm. 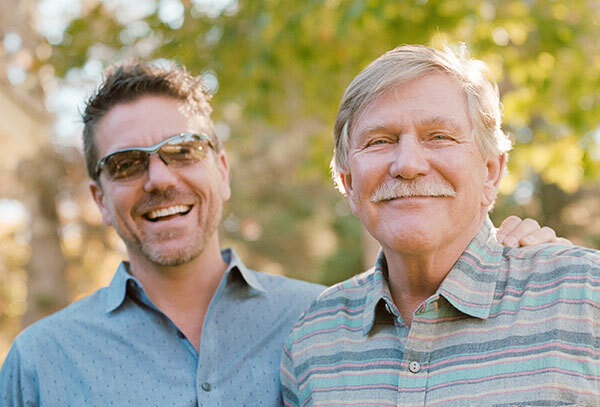 Since 2008, The Fairbanks have been expanding their portfolio of business enterprises. 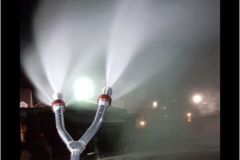 Their endeavors include Jiminy Peak Mountain Resort, Cranmore Mountain Resort, Bromley Mountain, EOS Ventures, Bullwheel Productions, Snowgun Technologies as well as other strategic investments. *95psi air and 300psi water. This year the average output is 66 gallons per 100 cubic feet of snow compared to last year which was 38 gallons per 100 cubic feet and 23.5 gallons in 14/15. 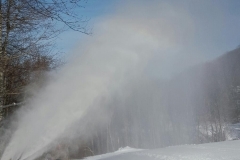 That equates to an average of 3 feet of snow across all of Jiminy’s open snowmaking terrain (142.8 acres) and allowed us to get nearly all of our snowmaking terrain open by the Christmas holiday week. 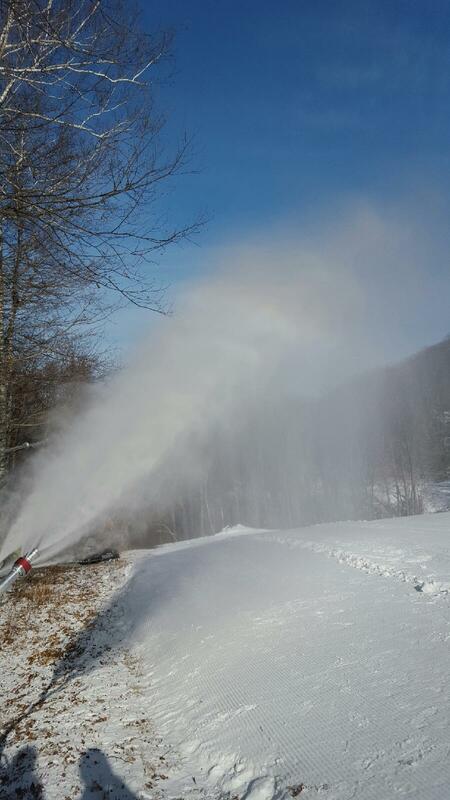 Compare that to 2014/2015 when we put 63,814,439 gallons of water on the mountain in 446 hours. The numbers speak for themselves but to put it into perspective, had Jiminy been equipped with Sledgehammer guns in 15/16 the way it is this year, the mountain would have been able to stay open from Thanksgiving to March 20th last year. Impact on the Guest Experience!